Every explorer needs to stay hydrated and the Gift Republic The Adventurer enamel mug is the perfect choice to stave off your thirst. This mug is striking and practical and ideal as a gift for anyone who is passionate about travel and adventure. It has a printed anchor design and will look the part on your desk at work, giving you inspiration for your next adventure. 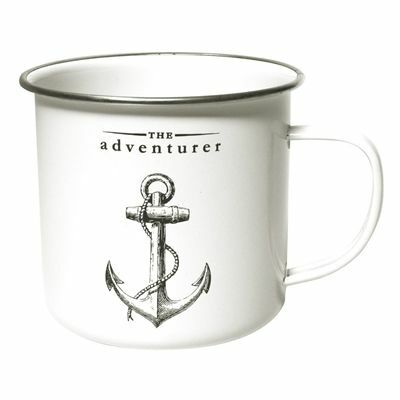 for submitting product review about Gift Republic The Adventurer Enamel Mug.